Penny Lane Lodge is situated in beautiful Somerset West at the gateway to the Cape Winelands. Our guest house provides affordable self catering accommodation in a central location with the spectacular backdrop of the Helderberg mountains. Phone us on 021 852 9976. 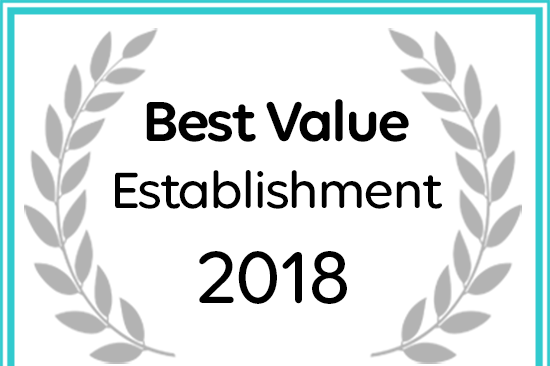 Afristay has named Penny Lane Lodge in Somerset West a Best Value Establishment. On first arriving please phone us on 021 852 9976 as you are nearing Somerset West so we can make arrangements to receive you. To confirm your reservation we require your credit card details or a bank deposit of 50% of the accommodation price.